We have seen the impact of our model of economic opportunity through coffee with DLG's current partner cooperatives, and we have been eagerly awaiting the moment when we can expand to reach more of Guatemala’s hard-working coffee farmers. As we mentioned previously, it’s the time of year to get serious about laying the groundwork for adding a new cooperative this next harvest cycle. The department of Sololá (home of Lake Atitlán) is one of Guatemala’s key coffee regions, and farmers there have struggled, as many others have, to deal with roya and find buyers for their coffee. As we haven’t worked with any producers there, we decided it was a logical place to expand beyond the three cooperatives we currently source from. Based on our experience incorporating La Suiza (coffee which you can now purchase at our store), we know what it takes to get a cooperative up to speed. Building on what we learned from that and other experiences, we put together a survey of key information, asked for leads from contacts in the area, and hit the road. 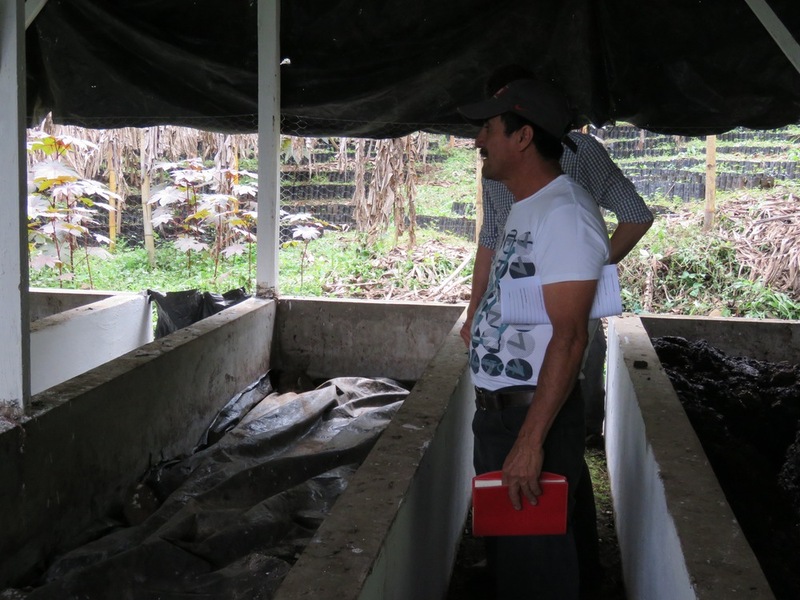 A DLG team braved non-existent roads and terrible weather to visit six cooperatives in Sololá, spending a half-day with each group speaking with their leaders and touring their facilities. Throughout the visits we were reminded of how every region and every cooperative does things slightly differently and has a different perspective on coffee. We learned a lot about each group and their past experience, current status, and dreams for the future. Now comes the hard part, as we cup the samples we collected and review survey information, and decide which cooperative is the best fit for us. We will then tailor an integration plan to the specific circumstances of the cooperative, and begin the work of making sure they are ready to produce great coffee for DLG customers to enjoy next year. Stay tuned for next steps in the coming months. We will be appealing to our supporters to raise what we need to provide the new co-op with the resources (such as training and financing) to be ready for the harvest. There are so many producers who want to work hard to support their families and communities, and we’re excited to be embarking on a journey to grow the DLG family. P.S. If you are interested in supporting DLG's expansion work through a contribution or loan, please contact us at info@dlgcoffee.org or 617-963-0962.